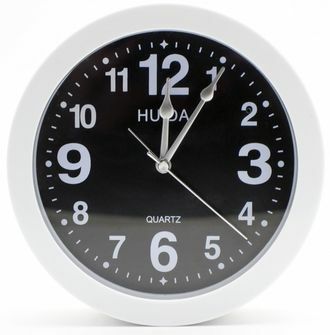 The Wall Clock Hidden Camera 4GB is a clock with a built-in camera you can hide in plain sight. It is a great choice whether you're keeping watch on your child's nanny, someone coming in to work on your home, or adding a bit more home security while you're away. Its simple modern design is attractive and yet unobtrusive. Not only is this perfect on a wall, it can fit right in on a desk clock as well. 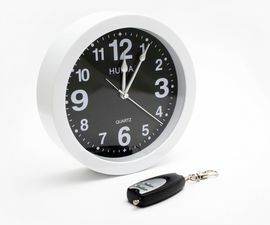 The unidirectional radio remote control allows you to quckly control the clock without having to actually aim the remote directly at the clock, making it perfect for starting and stopping without overt motion. Covert. It looks like an every day clock so it will not draw any undue attention.